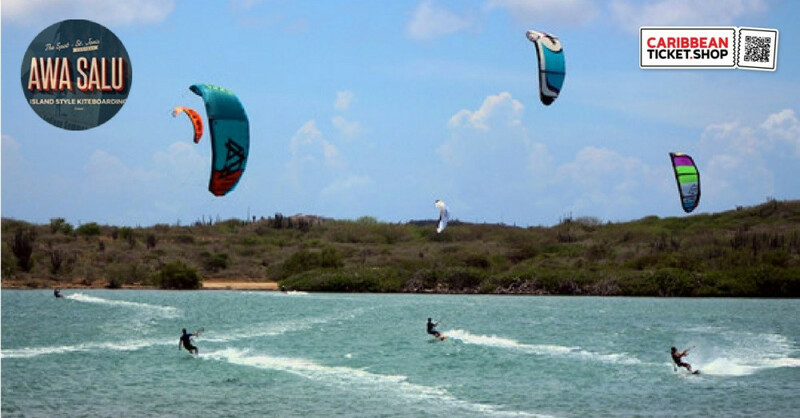 Awa Salu (Salt Water) Kiteboarding Kitesurfing School is located at the beautiful St. Joris Bay on the island Curaçao. 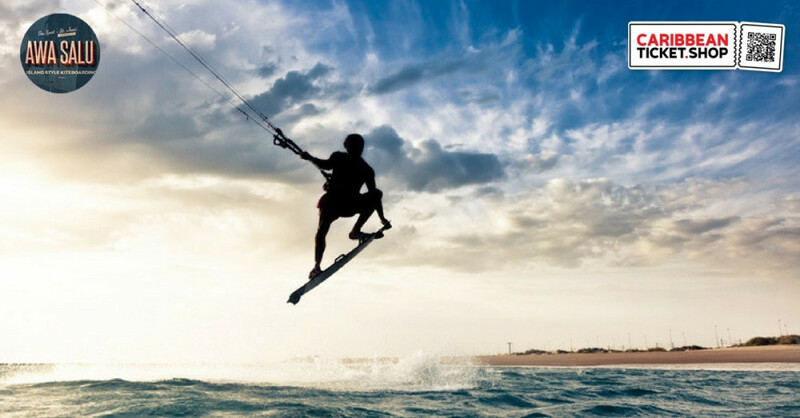 The eastern trade winds combined with the sunny climate and clear shallow water make this the ideal spot for learning how to kitesurf or work on your kitesurfing progression. Awa Salu Kiteboarding offers 4 kitesurfing lesson packages. From a single day kitesurfing to a 5-day kitesurfing course. Get a feel for the power of the kite as a beginner! This lesson is tailored to your needs if you have had lessons before or finally want to land that one trick! You’ll get the feeling for kiteboarding and are able to add more lessons afterward. Already have some basic kite and control bar control and want to get up and riding? Then this course is recommended for you. Want to learn how to ride? This course will teach you downwind riding and you will be able to practice independently. 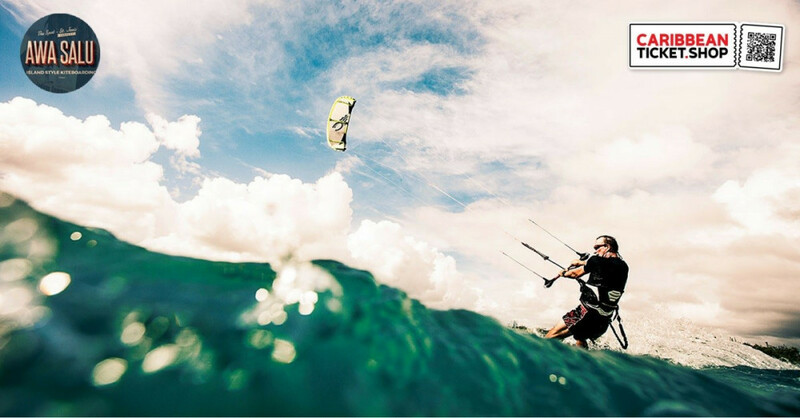 Become a kiteboarder from scratch! Become able to ride upwind and do transitions. That "Walk of Shame" everybody talks about, won't be found in your dictionary. 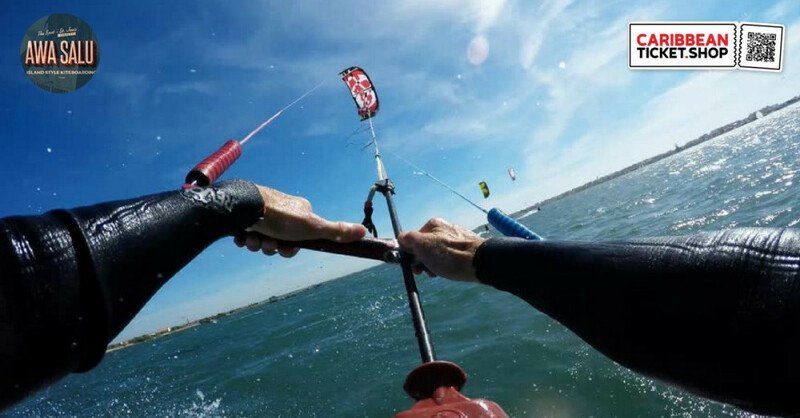 Whether you are 80 or 8 years old, you can learn how to Kiteboard. Need more lessons? You are always able to add more lessons later! We don’t really have an age minimum but you should weigh at least 40 kg (88 lbs). You can count on a private treatment and a great adventure. This Voucher is valid for 60 days after purchase date. We charge ANG 45,- (USD 25.-) only for one “Pick Up & Drop Off ” with a maximum of 3 people. So don’t let “No Transport” withhold you from your kiteboarding lessons and Book Now!